What to Expect at Your First Tournament and How to Prepare. 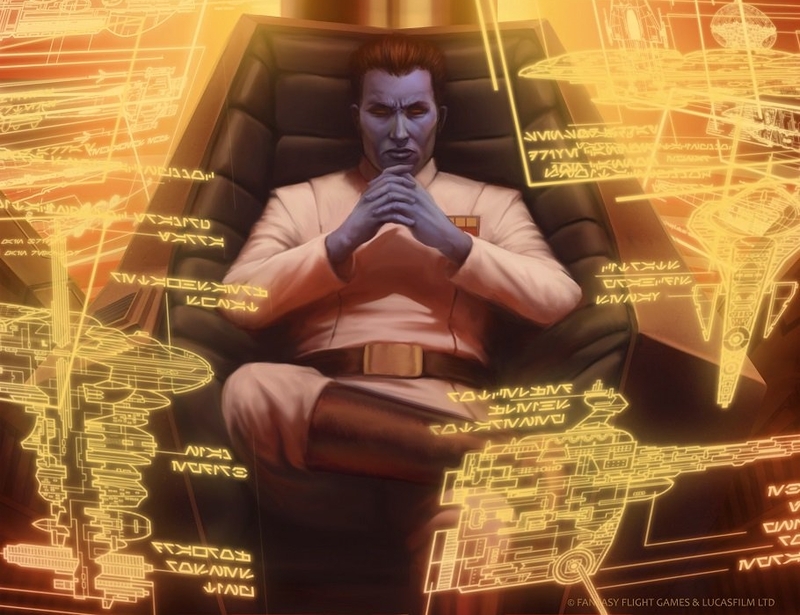 The first thing to remember when preparing for every Star Wars: Legion tournament from your monthly local store event to the world championship, and by far this point is the most important, is that this is a game and our primary objective is to have fun and bond with friends over a common interest. With that out of the way our secondary objective is to play our best and hopefully win, and there are several ways we make ourselves ready for that. But before we can prepare for a tournament we need to know how they work. Bye: in the event of an uneven number of players, one player will be without a partner to play against. In the first round this will be a random person and in following rounds it will be the player with the lowest number of wins for the day. The player who "has the bye" will count as having an automatic win and can take a break during this round. Strength of Schedule (SoS): Strength of Schedule is a metric for determining how hard your games for the day were, and it is the tiebreaker used to figure out standings between players with the same number of wins. It is calculated by dividing each opponent’s total number of wins by the number of games that opponent has played, adding the results of each opponent played, and then dividing that total by the number of opponents the player has played. *Number* and *Number*: this is the format that your record is presented in with wins first and losses second. for example if you have won two games and lost one so far you are 2 and 1. Sometimes you will also hear the term X and 1, this means that you have lost one game - sometimes people who have lost one game will still have a chance to advance to a single elimination bracket or win a prize depending on tie breakers, and this is when you will often hear the phrase. The Tournament Organizer (TO) has the discretion to change the format of a tournament how they see fit, and will let people know before hand if there are any changes, but there are some standards that you can generally count on as follows: tournaments are 800 point armies unless otherwise noted, games are timed and should be completed before 2 hours, boards and terrain are pre-set by the TO and players aren't to change them (if they must be changed for some reason have a judge change them for you), if you and an opponent cant agree on how something should work call a judge to settle the disagreement - the judges decision is final and to be used - even if you think it might be wrong. Think back to the primary objective of a tournament; to have fun and enjoy a common interest. Part of accomplishing this objective is also making sure that your opponents have a fun time - and reciprocally that you do too. That doesn't mean going easy on them, but it does mean respecting their time, keeping things clean and precise, and communicating intent. Avoiding hard feeling and feeling cheated goes a long way to making the game more enjoyable for both sides. Time: SW:L tournaments are played on a time limit, because of this it is important to be conscientious of time. Don't feel rushed, but you should have everything organized and ready to go and at hand - searching for dice or movement widgets eats into valuable limited time and can be seen as slow play which is a big offense in SW:L.
Precision: a major part of SW:L competitive play is positioning, and as such it is important to be as clean and precise with movement and measuring as possible. while accidents do happen, be as careful as possible to not bump figures. whenever something could be close or questionable use a proxy figure (an extra model or empty base) to measure end movement positions. never pick up a model before you have committed to a move, and do not move models haphazardly without measuring. when necessary mark the location of terrain and figures in the way and move them when measuring crucial distances. and when in doubt, always get a judges opinion on something you disagree on before figures have moved. Intent: it is best practice to declare your intent when performing something and have your opponent respond so that both players are clear on game state. For example when moving figure A you can say "my intent is to have cover against figure B, do you agree he has cover from there?" not only does it prevent issues from coming up down the road, it also lets you play in a way that makes both players feel like they aren't being taken advantage of. There are many great lists out there, including the ones found on IMPACT X, but the best list is the one that fits your play style. Often the best list for you is the one you craft yourself, because you have an idea of what you want each piece to accomplish and how they all fit together. The best way to learn your play style and how your army works together is to try different things in casual games. The more games you play, the better you will know how you will handle different situations, but also don't react too fast - if you play a game and it doesn't go well don't immediately scrap the list repetition and practice is key. even if the list does poorly in one game, it may do great in the next. I don't mean the actual person sitting across the table from you (although its great if you do know them). Know what the units and upgrades in your opponent's list do, how they could combine, and what that information tells you about what their game plan might be. This might mean a little homework, but at the top competitive levels you shouldn't have to look up cards for information. Knowing what the other figures can do means you wont be caught off guard. Whether its World Championship or your local event, you want to have a good idea of what you are likely to see so you don't get caught off guard. For example if trooper spam is popular in your meta you don't want to run a list that is focused on taking down heavy armor. The IMPACT X List and Battle Report sections are a great resource for seeing what is being played at the moment. Time and efficiency are a big part of tournament play. Not only is it important to have all your tokens and widgets organized and ready, but it is also very important to be ready to play as soon as you get to the table. What I recommend is a bead organizer for tokens and dice, separating them out by type and color beforehand so that way you are never searching for items as you play. Also a tray to carry your figures and items with you, it can be as simple as a lunch tray or as fancy as a craftsman wood tray with notches for all your figures - the important part is that it lets you pack up and move from table to table quickly. I also recommend storing all your cards in 14-card pages so that each unit and its associated upgrade cards are stored together and ready to go, so that you don't have to lay all the cards out before every game and don't have to remember what upgrade goes where. Lastly I strongly recommend printing several copies of your army list (minus command cards) so that you can give one to your TO and show one to your opponent at the start of every round instead of explaining what your list contains every time. Although it might not seem like it from the outside, tournaments can be very physically and mentally taxing. A four round tournament will go for eight or nine hours, possibly without breaks, so it is important to get a good rest the night before and eat a substantial breakfast (coffee and pastry isn't enough), and bring water and small snacks for during the day (usually I bring granola bars and a couple apples, oranges, and bananas). Be sure to take advantage of any breaks in time you have to sit and rest and use the restroom when necessary. It is important to remember that only one person per tournament will win, and so it is important to set alternative goals for yourself so that you can still enjoy the game as you play, even when you aren't at the top. Here are some good goals if you cant think of one for yourself; win one game, win more games than you lose, defeat the enemy commander, don't lose your commander, score over a certain number of scenario points, kill more than a certain number of points of your opposing forces. If you take into account all of these points when headed to your first tournament you will be well prepared and in a good position to enjoy your day. Remember to have fun and may the Force be with you.